This is an assignment for students to create a board game. It should take two to three class periods. If your school has a makerspace or an art classroom where students can access materials such as cardboard, poster paints, or markers, you might schedule your classes to work there. Once students have finished the first version of their games, schedule time for students to play each other’s games. Ideally, give them some time to give and gather feedback, then revise their games accordingly. Dark Tower (featuring Orson Welles): This is an example of a circular board game in which the pieces start on the edges and move in toward the middle. Electronic Dream Phone Board Game Commercial - 1992: This board game is really a logic puzzle. There are printed clues that illustrate relationships and the phone provides clues that help you to narrow down possibilities by a process of elimination. Stop Thief Electronic Board Game commercial 1979: This board game uses a device to give audio clues that help you to figure out what to do on the game board. It’s a good example of how you might use sound as a clue. 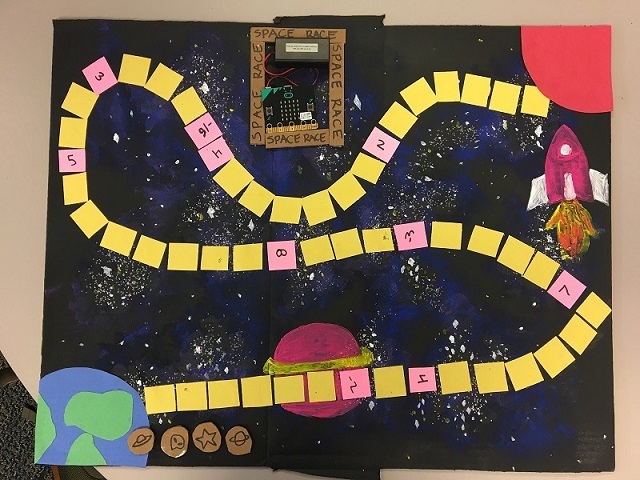 Students should work in pairs to create an original board game project in which micro:bit is a central feature, and the rules of their board game should use Conditionals. Photo documentation of the different game pieces, cards, or other components of the game with the micro:bit included as well as a screenshot of your micro:bit code. Each photo must have a caption that describes what the photo is documenting. Reflection: A text entry describing your team’s game making process and each teammate’s part in the creation of the game from brainstorming ideas, through construction, programming, and beta testing. 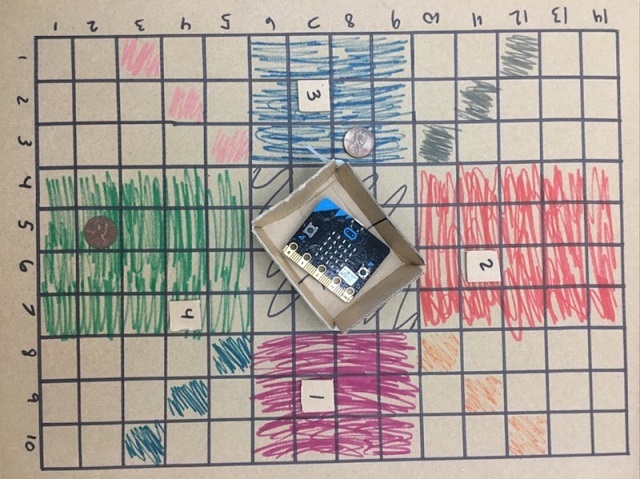 The micro:bit needs to work in conjunction with the game board and/or game pieces and should be a central feature of the game. Ideally, it should be more than a simple substitute for a six-sided die. … let your imaginations run wild! In this example, pieces start out at full strength and lose points based on random events on the board. When two pieces meet on the same space, they battle. Press A to enter the strength of piece A. Then press B to enter the strength of piece B. Shake the micro:bit to determine the winner of the battle, which is proportionately random to the strength of each piece. The micro:bit uses its accelerometer to detect when you’re shaking it. How does an accelerometer actually work? Have each pair of students set up their own project at their table. Leave a clipboard or a laptop on the table for taking notes. How easy was it to figure out what to do? What is something about this project that works really well? What is something that would make this project even better? Many online survey tools will allow you to sort the comments by project and share them with project creators so they can make improvements based on that feedback. Explain how you decided, as a pair, on your particular board game idea. What was something that was surprising to you about the process of creating this game? Describe a difficult point in the process of designing this game, and explain how you resolved it. What feedback did your beta testers give you? How did that help you improve your game? What were the Conditionals that you used as part of your game rules? 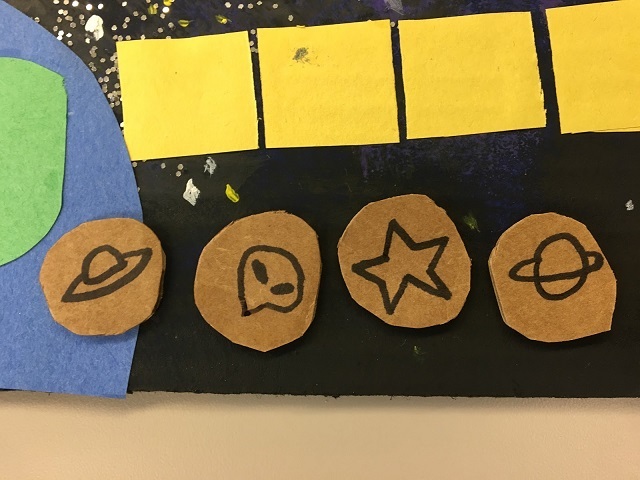 Space Race by K. and S.
How to win: Starting from Earth, your goal is to progress to Mars. The first person to reach Mars is the winner. 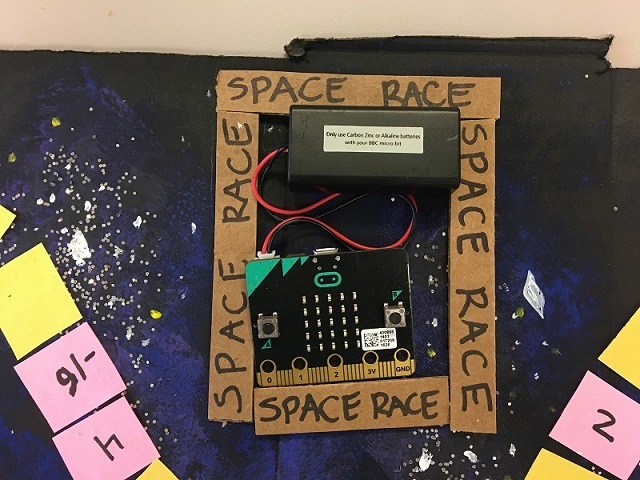 1 - Shake the micro:bit to randomize how far you get to advance. 2 - If you land on a pink square, press “B” on the micro:bit until your previous roll number appears. Then press A and B at the same time to see whether or not you move based upon the number on the square. 3 - Up to four players. 4 = All game rules are clear and complete. 3 = A game rule is missing or not complete or not clear. 1 = Most of the game rules are missing or it is not clear what the rules are. 3 = Game board meets only 3 of the conditions listed for a score of 4. 2 = Game board meets only 2 of the conditions listed for a score of 4. 1 = Game board meets only 1 of the conditions listed for a score of 4. 1 = micro:bit program lacks 3 of the required elements. 4 = Complete photo documentation that includes photos of game board and code and captions. 3 = A photo is missing or of poor quality or a caption is missing. 2 = Multiple photos and/or captions missing or of poor quality. 1 = Most photos and/or captions missing or of poor quality.